Alison joined Business Gateway Falkirk as a Business Adviser in 2013. Alison has 15 years experience working within the public sector providing grant support to small businesses. Alison provides support to help individuals explore their business idea, providing advice on the skills and knowledge required to run a business. Alison delivers Business Gateway’s free workshops for new business, which covers a variety of topics such as business planning, marketing, finance and the use of social media. Andrea joined the Business Gateway Falkirk team in 2017 after five years as Senior Project Coordinator in Falkirk Council. Graduating from the University of Glasgow with an MBA, Andrea has experience in marketing, buying and management. Andrea has experience of starting and managing her own business and now enjoys supporting pre and new start business and is keen to support those looking to grow. Andrea enjoys delivering our catalogue of workshops and encourages clients to focus on their long term goals. Carron is the Principal Officer for Business Support within the Growth and Investment Unit at Falkirk Council, responsible for the delivery of Business Gateway service and local business support products. 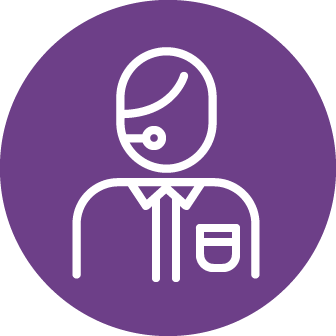 Carron has been supporting the business community for over 20 years and has extensive experience of managing business projects, support initiatives, financial assistance programmes and business training. Providing help and support to companies has been a main focus for Carron for over a decade, giving her the know-how to help individuals in the Falkirk area successfully start up and survive in business. Carron commented: “The team and I have the skills and experience to help new and existing businesses from all sectors to develop and grow locally, through events, training programmes and tailored, one to one advice”. Lesley joined the Business Gateway Falkirk team in 2016, having previously worked for over 2 years with the Stirling team and supports local businesses that wish to build their business and have the ambition and potential to grow. Lesley has many years experience supporting businesses taking them on their journey to success. 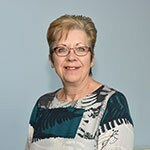 Previously Lesley worked as an Account Manager in the Banking sector for nearly 30 years, with most of her experience being in the Business, Commercial and Corporate divisions and offers a wealth of knowledge that helps her clients achieve their goals. Lesley has successfully supported clients in accessing support from other enterprise agencies including Scottish Enterprise. 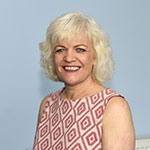 Lorraine joined the Falkirk Business Gateway team in 2012 as has over 30 years experience in the business sector. Lorraine graduated from Durham University in 1997 having undertaken an MBA. Lorraine is committed to supporting clients with the development and growth of their business. 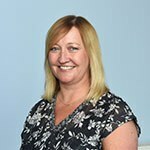 Lorraine has extensive knowledge of the manufacturing, engineering and retail sectors and has many years experience working closely with Scottish Enterprise and accessing appropriate support for her clients. Lorraine has managed her own business is an experienced personal development trainer, coach and mentor. Louise Evison is an experienced Business Gateway Adviser who has engaged with companies across Scotland for over 5 years. Now working with Business Gateway Falkirk helping growing businesses to set and achieve their growth goals, Louise brings 14 years of experience working with existing, growing and ambitious new business across Scotland. 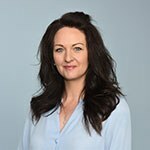 Having graduated from the University of Stirling in 2004, she can advise on a number of areas including business planning and strategy, marketing, HR, procurement and funding. Louise’s role is to work closely with her clients to offer new ideas, find solutions, signposting to partners and develop long-term strategies for growth and sustainability. Steve has been supporting businesses in the Falkirk area since 2016 when he joined the Business Gateway team. 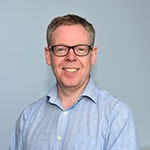 He previously worked in the banking sector for over 30 years, including as a Business Relationship Manager to Central Scotland based businesses from a wide variety of sectors. Steve provides appropriate advice and support to new and early stage growth businesses, as well as delivering our catalogue of start up workshops covering topics such as Finance, Planning and Marketing.